Spider Eaters is at once a moving personal story, a fascinating family history, and a unique chronicle of political upheaval told by a Chinese woman who came of age during the turbulent years of the Cultural Revolution. 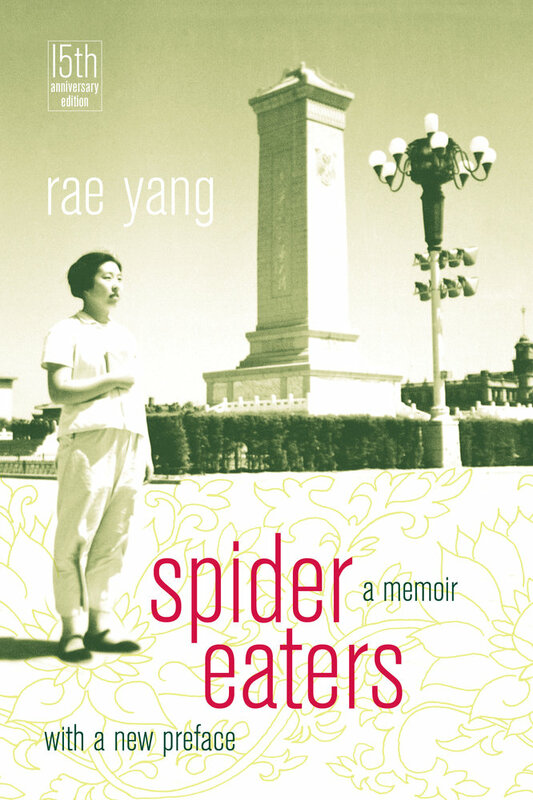 With stunning honesty and a lively, sly humor, Rae Yang records her life from her early years as the daughter of Chinese diplomats in Switzerland, to her girlhood at an elite middle school in Beijing, to her adolescent experience as a Red Guard and later as a laborer on a pig farm in the remote northern wilderness. She tells of her eventual disillusionment with the Maoist revolution, how remorse and despair nearly drove her to suicide, and how she struggled to make sense of conflicting events that often blurred the line between victim and victimizer, aristocrat and peasant, communist and counter-revolutionary. Moving gracefully between past and present, dream and reality, the author artfully conveys the vast complexity of life in China as well as the richness, confusion, and magic of her own inner life and struggle. Much of the power of the narrative derives from Yang's multi-generational, cross-class perspective. She invokes the myths, legends, folklore, and local customs that surrounded her and brings to life the many people who were instrumental in her life: her nanny, a poor woman who raised her from a baby and whose character is conveyed through the bedtime tales she spins; her father; and her beloved grandmother, who died as a result of the political persecution she suffered. Spanning the years from 1950 to 1980, Rae Yang's story is evocative, complex, and told with striking candor. It is one of the most immediate and engaging narratives of life in post-1949 China. Rae Yang is Professor of East Asian Studies at Dickinson College. 5· Why Did Father Join the Revolution? 16. "The Hero, Once Departed, Will Never Come Back"
18. "The Tree May Wish to Stand Still, but the Wind Will Not Subside"
22. My First Love, a Big Mistake? 23. What Have I Lost? What Have I Gained?